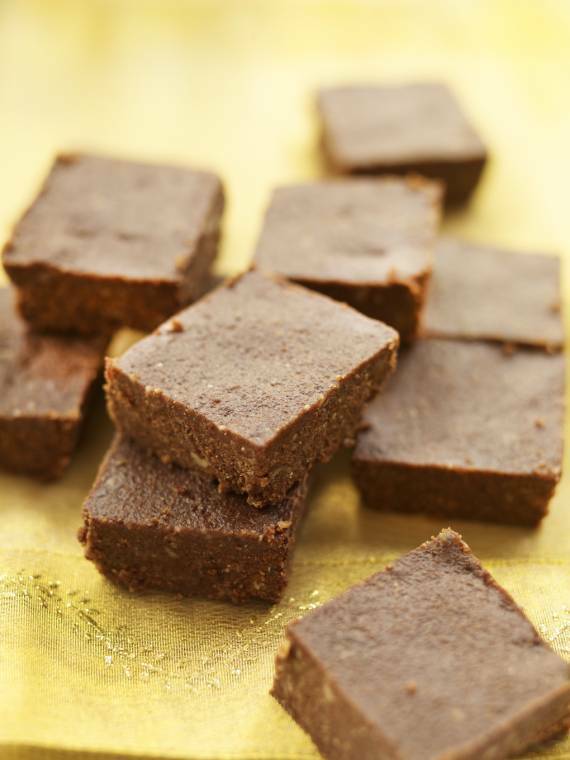 Do you like to make your own fudge? 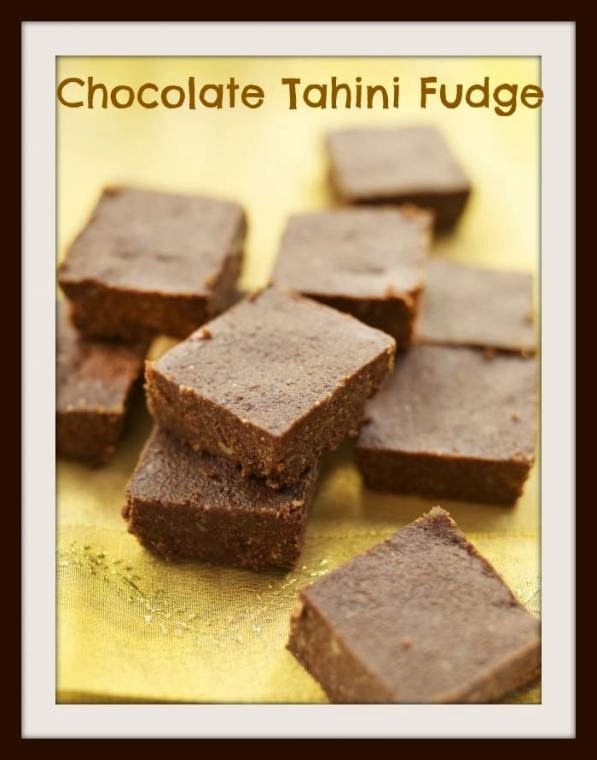 Today I am sharing this chocolate tahini fudge recipe. Suitable for Vegetarians, Suitable for Vegans, Gluten Free, Wheat Free, Soy Free, Egg Free, Sugar Free. In a high speed blender or food processor, grind up the nuts until fine. Place in a bowl with the cinnamon. Put the chocolate drops in a pan with the tahini and melt over a low heat. Place the dates in a blender with the melted chocolate and process to form a stiff paste. Add the paste to the ground nuts and combine thoroughly using your hands to make sure it is completely mixed. It should form a soft dough. Place the mixture into a lined 20cm / 8 inch shallow square tin and press down firmly. Chill for 3-4 hours until hard. Cut into chunks to serve.